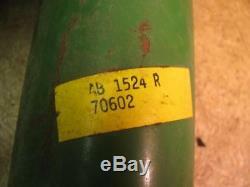 BIN 922 Offered for sale is this new old stock John Deere AB1524 muffler. 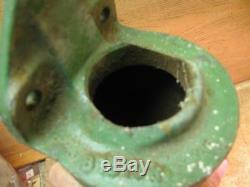 It has some rust as you can see. If you have any questions please ask. Check my other listings while you're here. I will be listing many parts and farm related items over the winter months so check back often or add me to your favorites list. Get images that make Supersized seem small. 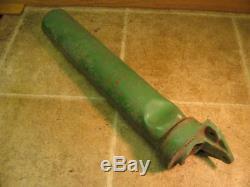 The item "NOS John Deere AB1524R Muffler B Tractor" is in sale since Monday, December 24, 2018. This item is in the category "Business & Industrial\Heavy Equipment, Parts & Attachments\Heavy Equipment Parts & Accessories\Antique & Vintage Equipment Parts". 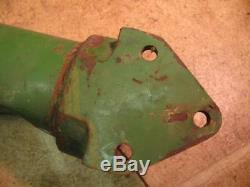 The seller is "amos2442" and is located in Van Buren, Ohio. This item can be shipped worldwide.